Located near Georgia Highlands College, Darlington School & Georgia Northwestern Technical College. Six miles from downtown Rome. We are just three miles from downtown Rome and very close to both Berry College and Shorter University. Rooms are newly renovated and non-smoking. Deluxe continental breakfast, cable/HBO, courtyard pool, high-speed wireless internet, guest laundry, free local calls, meeting / banquet facilities, AAA approved, no pets, ADA. Relax and enjoy the unique combination of historic charm, modern amenities and a great location in downtown Rome. The new Holiday Inn Express & Suites in Rome, GA is perfect for both business and leisure travelers. Closest accommodations to Stonebridge Golf course, and easily accessible to all of Rome and Floyd County. 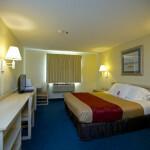 The Quality Inn is a great destination for all travelers to the Rome area. Convenient downtown location, on the Oostanaula River.